Exhibition Format: Selected works will be digitally exhibited (projectors/screens). Artists do NOT need to ship the original physical work to us. Few local artists will be selected to display their original works physically. Spring & Nowruz: Reflections of Spring, Nowruz, and nature through Iranian art and culture. This section is part of the Iranian Arts Now Series. AND a special photo exhibition titled “Iran through My Lens”. Show us how you see and discover Iran through the lens of your camera. Photos with any kind of camera is acceptable. Any kind of photo from Iran including but not limited to nature, city scape, culture, food, lifestyle, architecture, ceremonies, etc. is acceptable. Artists can choose to participate in any or all of the 3 sections and special photo exhibition. Artists with any medium including but not limited to painting, drawing, calligraphy, photography, sculpture, ceramics, glass, textile, book art, digital art, video art, new media, and mixed media may submit works. All artwork must be the original creation of the artist submitting the artwork. Artists at any level, with any style, and any culture from around the world are encouraged to submit artwork. The selected works will be digitally exhibited (projectors/screens) at the San Francisco City Hall on March 23, 2018 as part of Nowruz Gala led by Persian Women in Tech. The artists do NOT need to ship the original physical work to us. 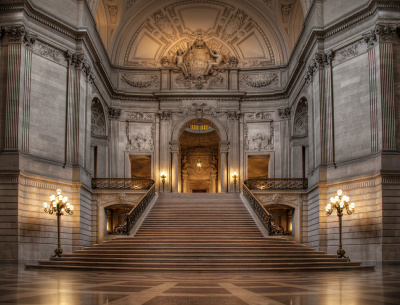 Few artists local to San Francisco Bay Area will be selected to display their original works physically at the City Hall on the day of exhibition and will be contacted directly. All selected works will be exhibited on the online gallery of Multiverse for 3 months untill June 23, 2018. Submission Form asks for artist’s information, short artist biography (max 600 characters) and artwork specifications (title, actual size, medium, and price in US Dollars, if for sale). Biography should focus on you as an artist, your background, experiences, education, and achievements. Submission fee is $20 for 1 work, $30 for 3 works, $40 for 6 works. We want to support any artist anywhere in the world so if you are in a country in which you cannot make the payment of submission fee due to international reasons or extreme lack of fund, we waive the fee for you and you can participate for free. Failure to make the payment of submission fee for any other reason will unfortunately cancel your participation. - Media: Video, performance, internet, and sound-based work are considered via website URLs in online submission. Insert URL into the “Artwork Specification” field of online submission form. The URL should only include the piece you want to participate and should be embeddable for direct embedding on our online gallery. Multiverse Art Gallery will actively promote the submitted and selected artworks on the day of the exhibition and beyond through various methods including but not limited to representing the image of the artworks and the artists through email lists, social media, multiple websites, apps, and exhibition book to insure several thousands of audiences will view the works and get to know the artists and their work globally. Multiverse Art Gallery is committed to provide artists with exposure and extensive marketing of their art and accomplishment through our national and international list of curators, collectors, potential buyers, interior designers, and art lovers. We employ multiple approaches in this regard including digital invitation and newsletter, extensive press release, event listing and calendars, and social media marketing, and representations through our partner galleries and organizations. Artists are encouraged to have their work for sale and we extensively promote the works to be acquired. Price is determined by the artist. We will retain 30% commission on all sales during the time that the artwork is represented on our online gallery. Artists are responsible for the packaging, shipment, and insurance of their artwork to the buyers. So, please estimate all the costs associated and then determine the price of your artwork. The price cannot be changed after submitting the Submission Form. if you have any question or comments or need any help with the submission process feel free to EMAIL us and we will get back to you quickly and assist you. 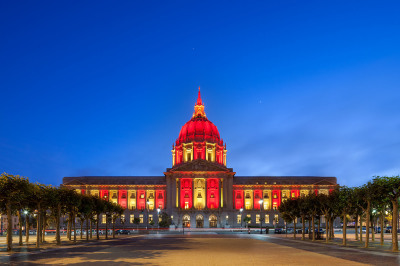 The San Francisco City Hall, Iranican’s Nowruz Celebration Venue and Rite of Passage Exhibition, March 25, 2016. SEE DETAILS HERE!